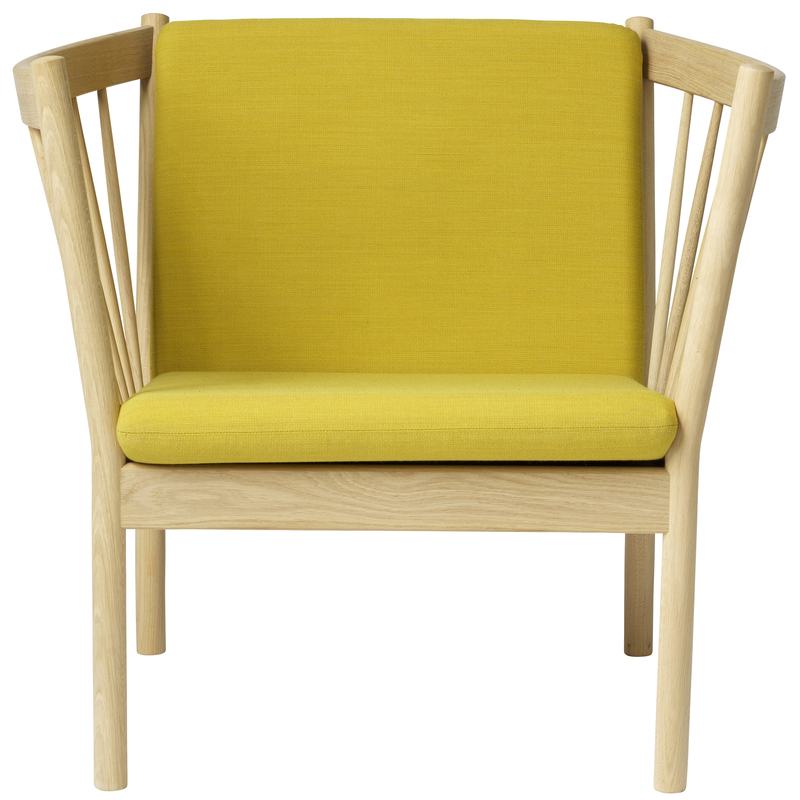 Erik Ole Jørgensen was a Danish furniture architect, originally trained in upholstery. With the disease of polio, he was admitted to the Frederiksberg Hospital after the war. He spent a lot of time painting watercolors, which allowed him to develop his sense of color and their combinations. Years later, he began his training as furniture designer and, in 1948, he passed his final exam at the School of Arts and Crafts. 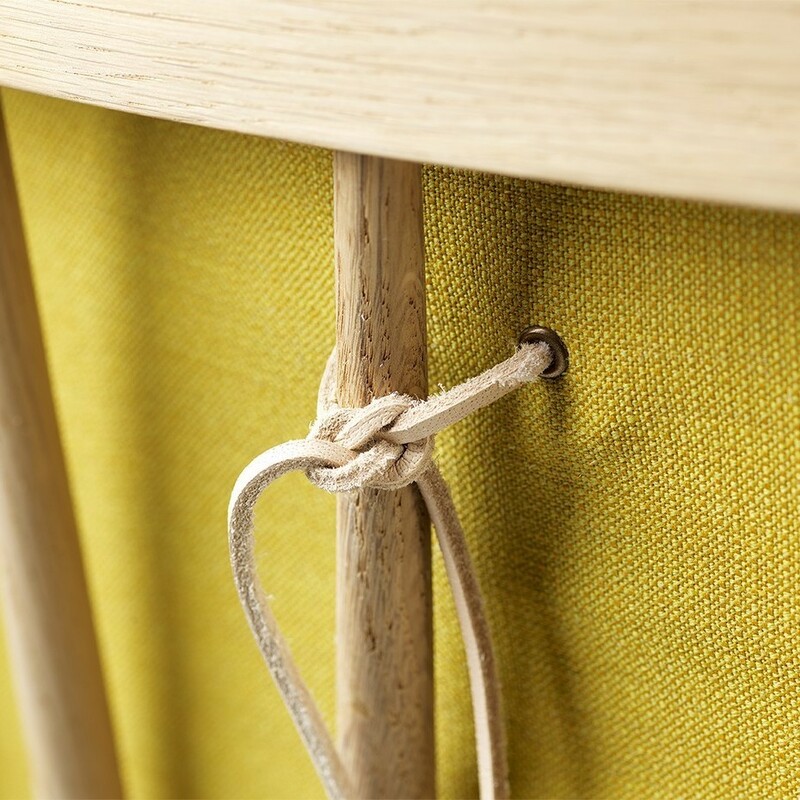 During his career, he designed furniture and fabrics. 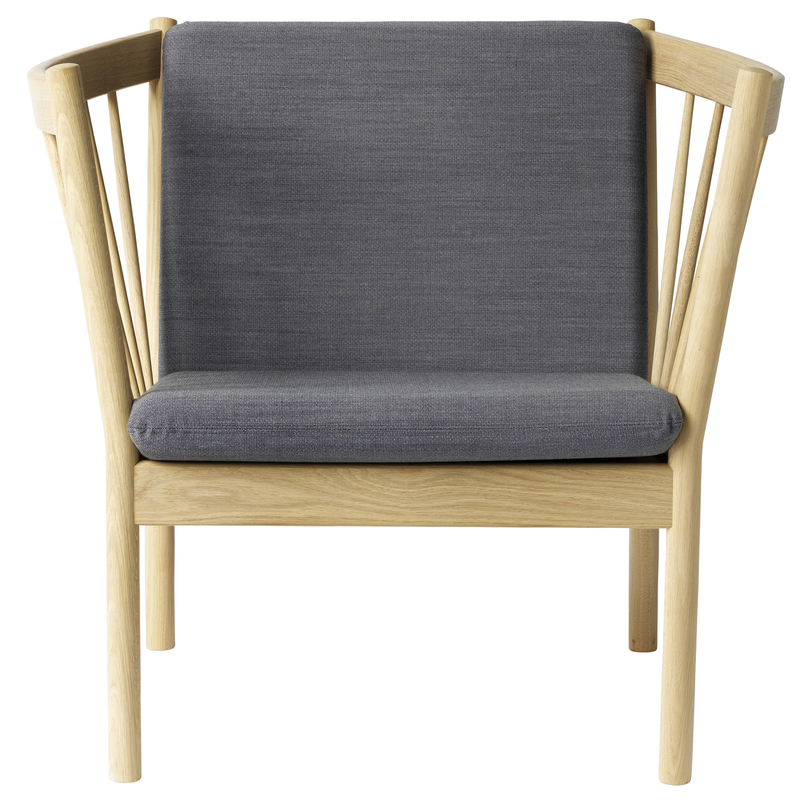 Its simple and functional furniture places it among the best Danish furniture designers. 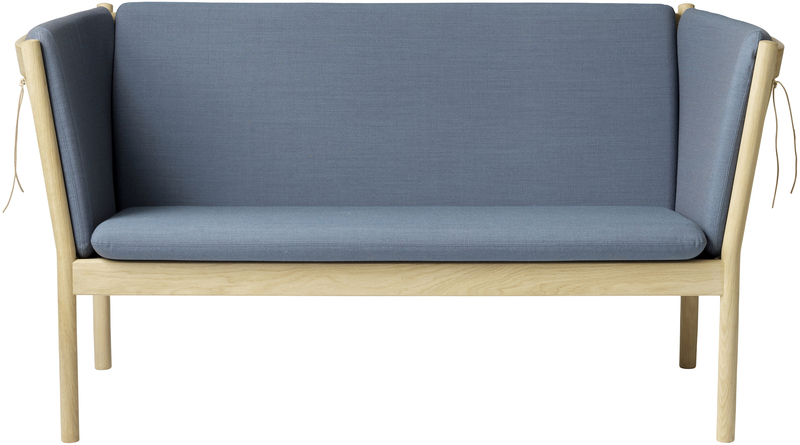 One of his most famous furniture is this series of sofas, originally designed for FDB Møbler. 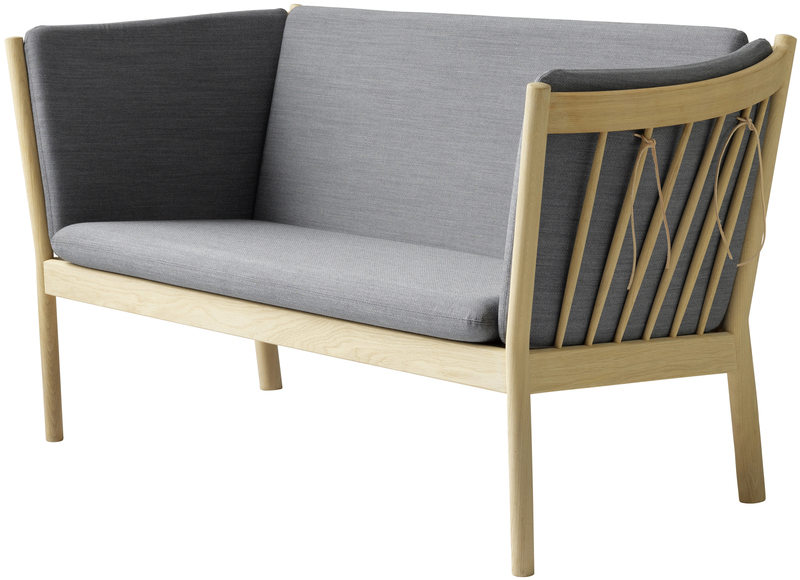 The wooden sofa is typical of the golden age of Danish design. In this spirit, the designer Erik Ole Jørgensen created the armchair and sofas J146, J148 and J149 in 1978 for the Danish brand FDB Møbler. 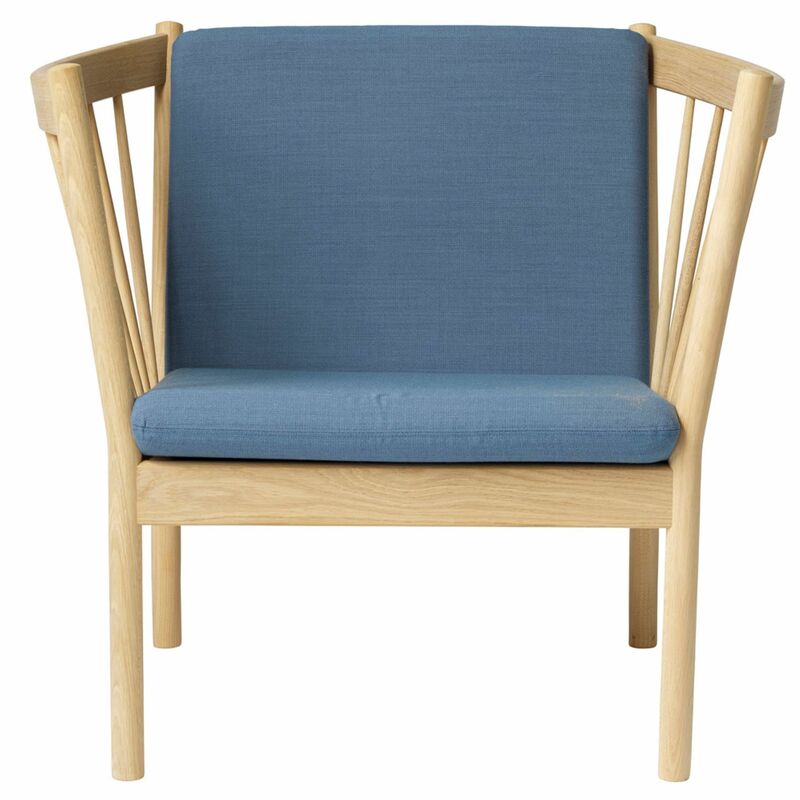 They show the characteristic style of the famous "J" series with curved backrest and armrests, steam-bent, which are supported by turned wooden bars. 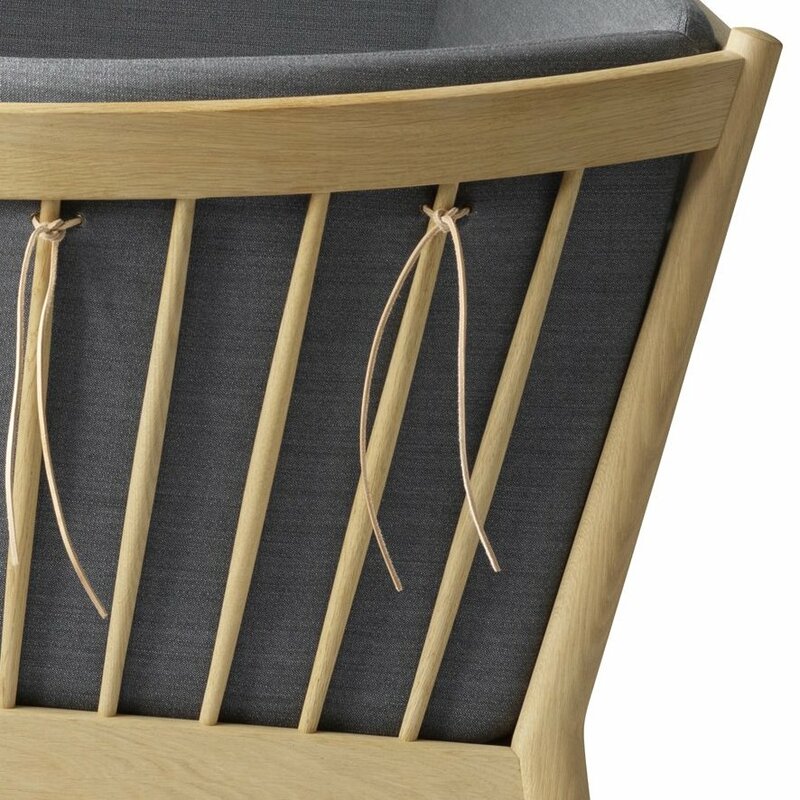 The refined style of this series is complemented by removable seat and back cushions, simply attached by thin strips of natural leather. 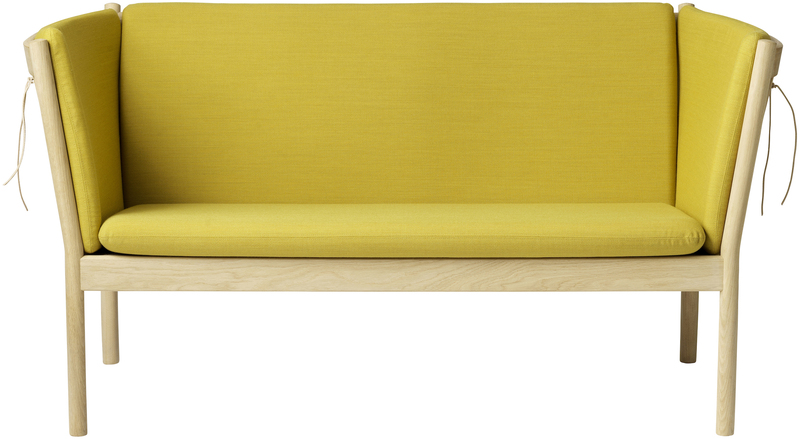 The cushions are covered with a woolen fabric – Crisp – made by one of the leading brands of upholstery: Gabriel. FDB Møbler is a Danish Consumer's Cooperative Society created in the 1940s and originally headed by Børge Morgensen. Their goal: to make affordable design furniture for the general public.